The What: Audinate has released Dante firmware v4.0 for its Brooklyn II audio networking module. 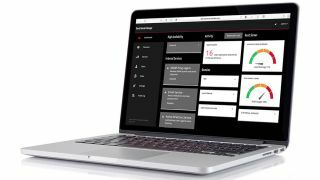 Dante firmware 4.0 delivers critical support for Dante Domain Manager (DDM), alongside performance improvements and bug fixes. This release allows manufacturers to immediately provide field upgrades for existing launched products to make them DDM-ready. The What Else: The Dante 4.0 firmware is standard for all Brooklyn II modules shipped by Audinate beginning early in Q4 2017. Brooklyn II v4.0 is a key component in the Dante 4.0 system update, which will implement Dante Domain Manager support across the Dante ecosystem. Only products that are updated with the v4.0 firmware will be able to fully participate in Dante Domains. Dante Domain Manager is a new product that brings increased functionality to Dante networks, including user authentication, role-based security, and audit capabilities, while allowing nearly unlimited expansion and organization of Dante systems over any network topology. Dante Domain Manager is a virtualized application that runs on Windows and Linux desktop and server platforms, with an intuitive and responsive web interface. For more information about Dante Domain Manager, visit http://audinate.com/ddm. The Bottom Line: The Brooklyn II 4.0 release is the first of a series of releases to ready the Dante platform for the launch of Dante Domain Manager. 4.0 versions of the Dante software applications and 4.0 firmware for additional Dante hardware platforms will be available in the very near future. Manufacturers of Dante-enabled products are urged to contact their Audinate salesperson for details on upgrading their products to v4.0.